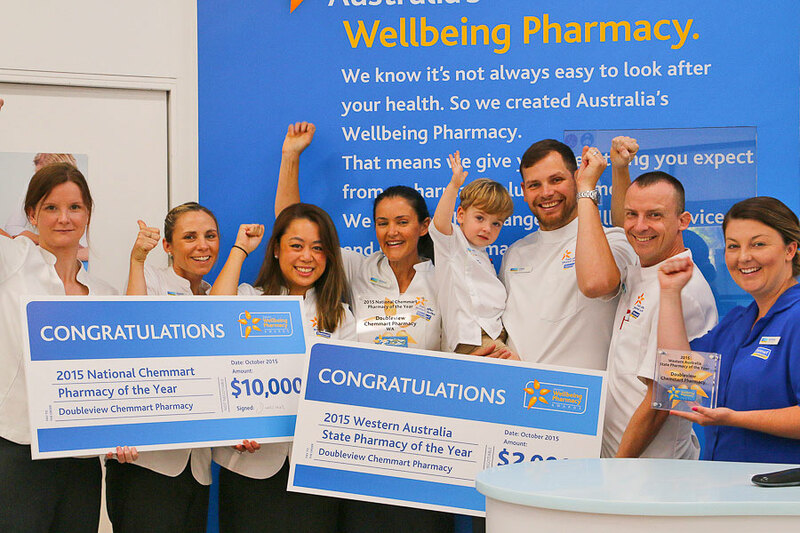 Doubleview Chemmart Pharmacy in Western Australia has beaten almost 300 stores from around the country to be named Chemmart Wellbeing Pharmacy of the Year for 2015. Judged on commitment to Chemmart’s® five ‘wellbeing pillars’ – in physical, financial, social, community and career categories – the award recognises the pharmacy most dedicated to promoting health and wellbeing in the local community. Pharmacist and co-proprietor Rebecca Wiltshire says the pharmacy is proud of the award and thanked its customers for allowing Doubleview Chemmart® to become an active part of the community. “We pride ourselves on supporting our community as much as we can,” Wiltshire says. “For almost six years we have been proudly providing the local community with quality healthcare. This year we have been able to get out into the community and work with our local schools and sporting groups on health promotion and fundraising initiatives. “We also run a lot of health promotion and awareness programs in store. The wellbeing of our customers is extremely important to us and it’s great to be recognised for our efforts. The National Award for the pharmacy follows its achievements as both 2014 and 2015 State Award winners. “I think our previous wins really inspired our team and they worked even harder this year,” Wiltshire says. Chemmart Executive Director Duncan Phillips judged the awards for the first time and says the quality of the entries ‘blew him away’. “The entries this year brought home to me just how integral our Chemmart stores are to their local communities,” Phillips says. “What is well known is that they provide essential and dependable health support and advice; what is less well known is that they are so often helping to weave magic and sparkle into the fabric of these communities. 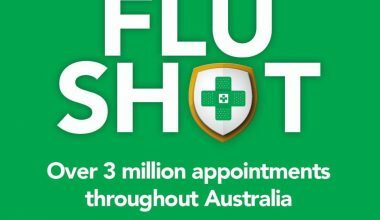 “At Chemmart we lead the market in forward dispensing with pharmacists being front and centre in our stores and in Doubleview, led by Rebecca, this can be seen at its best.